Built in the late1800’s at the very height of the Belle Époque period, the sumptuous and elegant Grand Hotel Villa Igiea sits in a peaceful location, high above Palermo’s picturesque harbour. Originally created as an exclusive health resort, the hotel takes its name from ‘Igiea’, the Greek nymph of health. Now the hotel is the very essence of elegance and refined hospitality with its grand Liberty style rooms and terraces overlooking the lush gardens towards the sea. The Art Nouveau furnishings afford a wonderfully glamorous feel to the 116 guest rooms, which maintain much of their original décor, whilst having been discreetly adapted so as to accommodate the most modern of facilities. Some rooms overlook the gardens, whilst others have views on the Bay of Palermo. 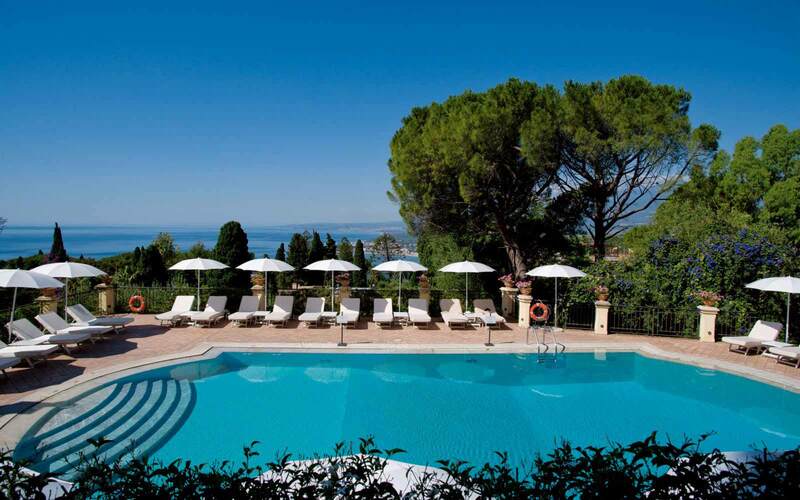 The curved sea water swimming pool is located in the terraced gardens, surrounded by lush plants and flowers. For our culinary connoisseurs, the Grand Hotel Villa Igiea offers the finest in Mediterranean cuisine. Cuvée du Jour, with fine glassware, soft lighting, Art Nouveau's chandeliers and a cellar of prestige wines are the setting to the exclusive and refined Gourmet Restaurant. Open for dinner, it is the ideal location to taste excellent Tasting Menus designed by our precious chef, Carmelo Trentacosti.The Donna Franca Florio restaurant, with its terrace overlooking the sea, serves Mediterranean specialities for lunch and dinner and the Pool & Grill bar - (Open in summertime) between centuries-old gardens and trees offers barbeques with sumptuous buffets prepared by the chefs. In addition, guests can enjoy, The Des Arcades lounge bar. A unique location with a terrace overlooking the marina Bay. An unforgettable atmosphere to taste our cocktails by the fireplace in the winter months and a delicious cappuccino or fresh Sicilian orange Juice on the sea-view terrace, heated by the sun for almost all days of the year. Offers snacks, international cocktails and piano bar every evening. After dinner guests may relax with a drink in the beautiful stone vaulted ceiling lounge and bar, where live piano music can be enjoyed. The Beauty Corner is the ideal choice for getting ready for a day in the sun or to take time out and for an experience of absolute wellbeing. A shelter for getting back a bit of privacy and giving new lustre to the body, with the choice of a wide range of treatments and beauty applications for face and body. For our more cultural and adventurous guests, "The Villa Bureau" (Private Concierge) available directly at the hotel, can offer a wide variety of excursions and tours along with special activities for you to enjoy. 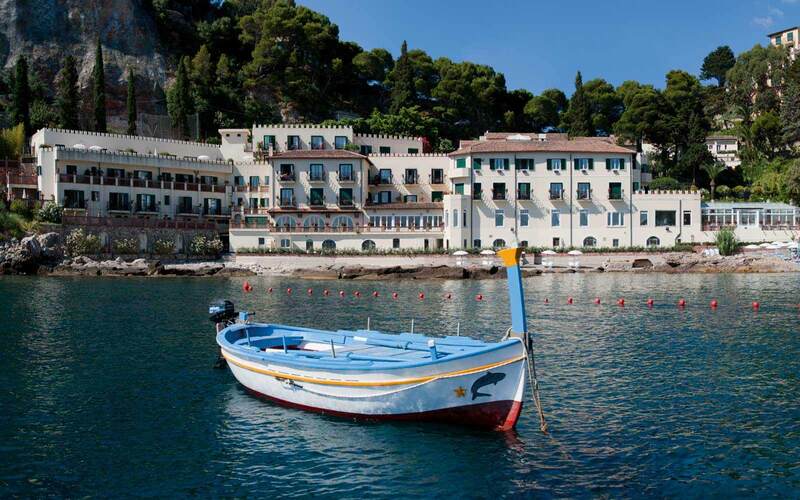 This is a truly sumptuous and elegant hotel, located in a quiet area, but within easy reach of Sicily’s bustling capital. Classic room: offers an inner-facing view and a charming comfort setting. Superior room: offers a garden view and a charming comfort setting. Deluxe room: offers a sea view and a charming comfort setting. Grand Deluxe room: offers a sea view and a charming comfort setting. 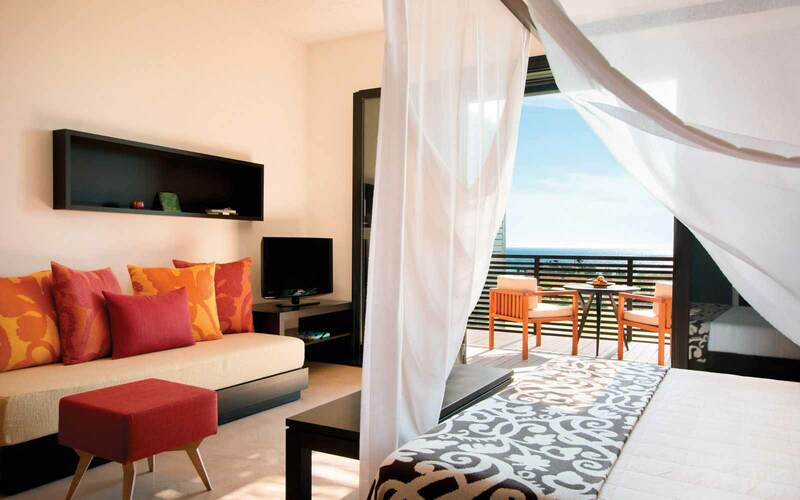 Junior Suite- Grand Suite: offers sea view and a charming comfort setting. Terraced Suite: spaciouse suite decorated in Liberty style and have a private terrace from which offers a a sea view over Palermo bay and of the hotel's luxuriant gardens and pool. Presidential Suite: spacious suite with private balcony or terrace to enjoy the breathtaking view over the sea, the gardens and the pool. Classic room Marina: offers an internal view and the are tastefully decorated in Mediterranean style. Deluxe room Marina: spacious room have balconies from which you can savour a sea view over the bay and of the hotel’s luxuriant gardens and pool. Rooms are decortaed in a Liberty style, the Tuscan version of Art Nouveau. All rooms include: individually controlled air conditioning, soundproof windows, Central heating, Wi Fi Internet access, Direct dial telephone, Electronic key, lcd television with satellite channels, sport and movie channels plus pay-per-view,mini-bar, marble bathroom with shower and/or tub, laundry service and safe deposit box.